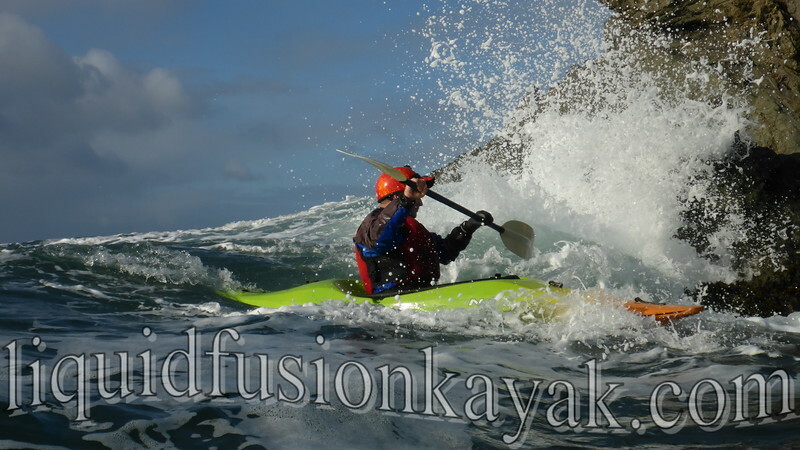 Last weekend, Liquid Fusion Kayaking rang out 2016 and rocked into 2017 with their annual New Year Whitewater n Surf Safari. 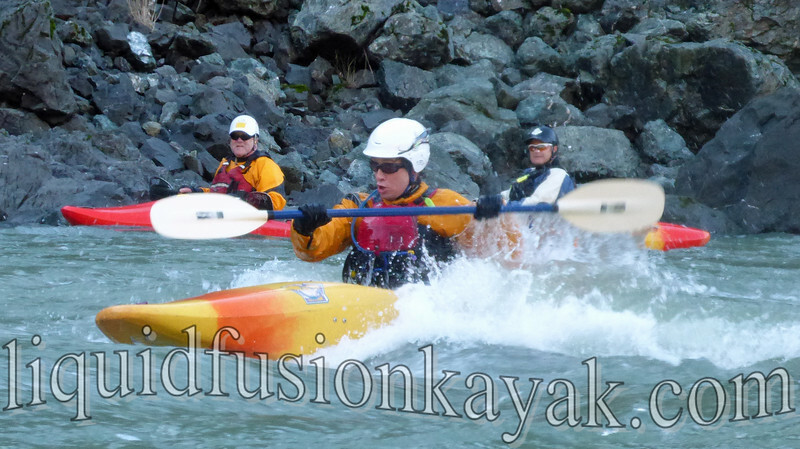 Our goal for this surfari is to score 3 days of whitewater kayaking in 3 disciplines - whitewater of the sea (rock gardening), whitewater river running, and surf kayaking. 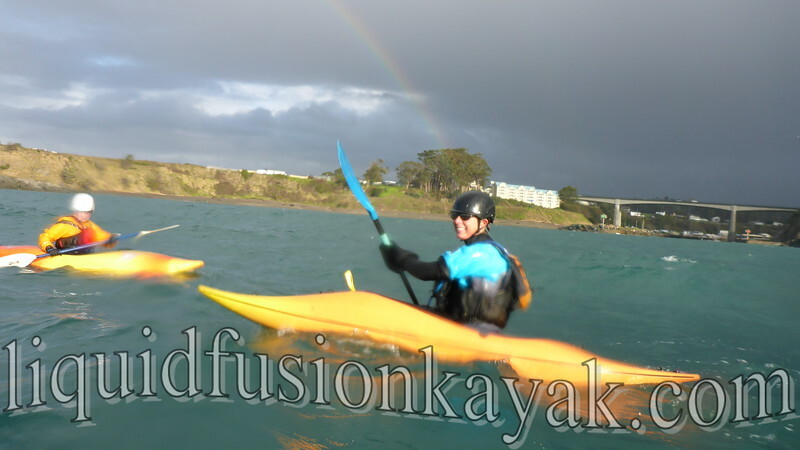 Requirements for the trip are that paddlers must have a reliable roll, class III whitewater kayaking skills, and experience surf kayaking in the ocean. 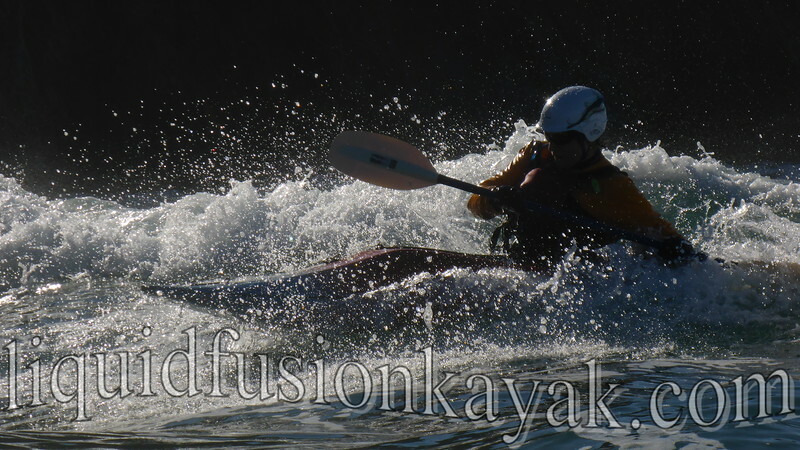 This year our 4 paddlers rocked it!!! 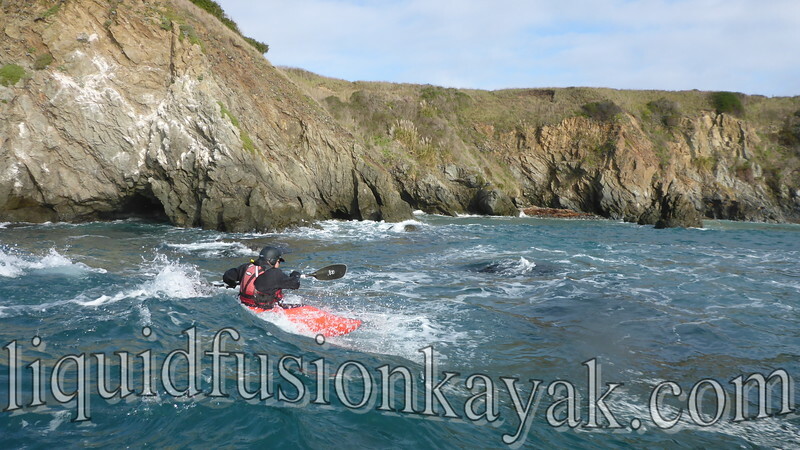 Liquid Fusion Kayaking and crew rocking New Years on the Mendocino Coast. 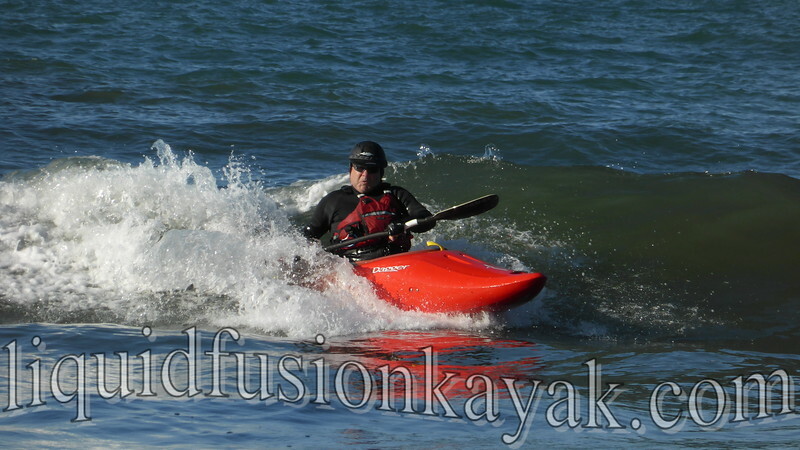 This is Liquid Fusion Kayaking's signature event. 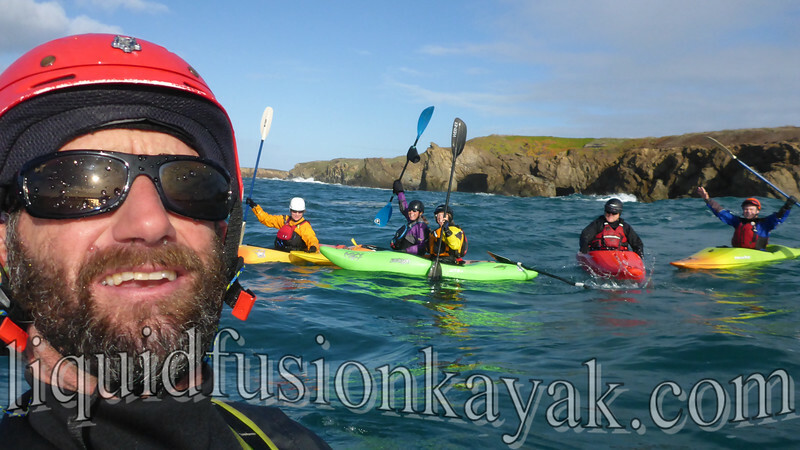 LFK's home waters in Mendocino County are one of the few places where one can score all 3, and LFK's Jeff and I are among the few kayak instructors that teach guide all three disciplines. 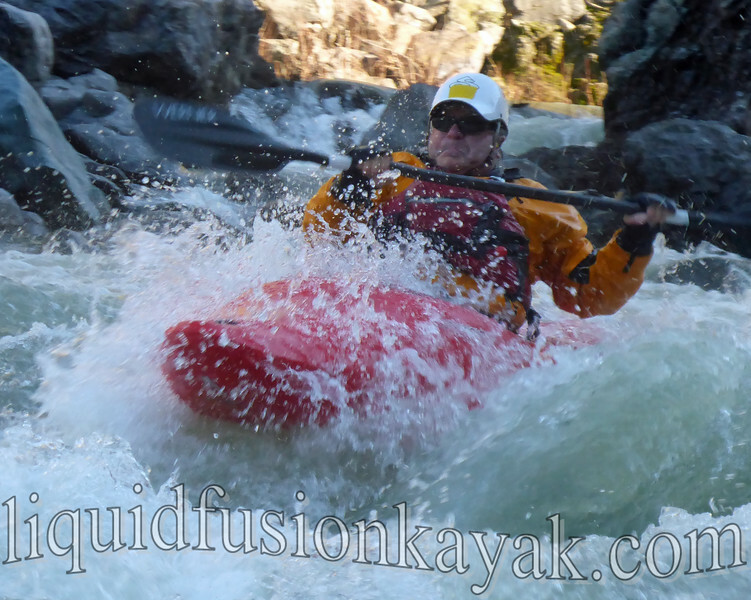 LFK's Jeff Laxier setting up to smack the lip in his hp surf kayak. 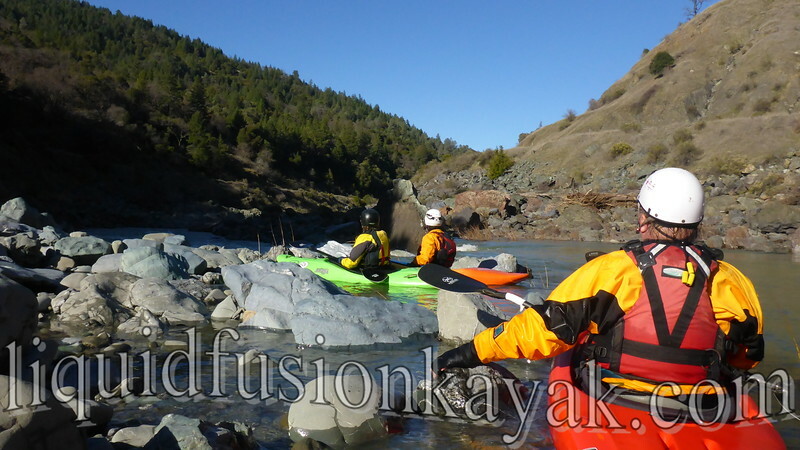 Day One of our Surfari was Whitewater River Kayaking on the Eel River. The day started out chilly with the freezing fog. 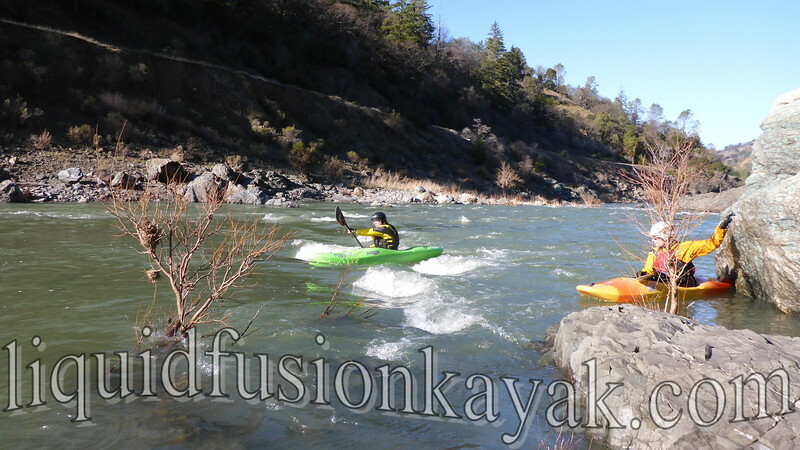 Till we got to the river, it was a gorgeous sunny day with a fun flow. Boat scouting the tunnel rapid on the Eel River. We played our way down a 7 mile stretch of the Eel - carving in and out of eddies, jet ferrying, surfing waves, and making fun attainments. 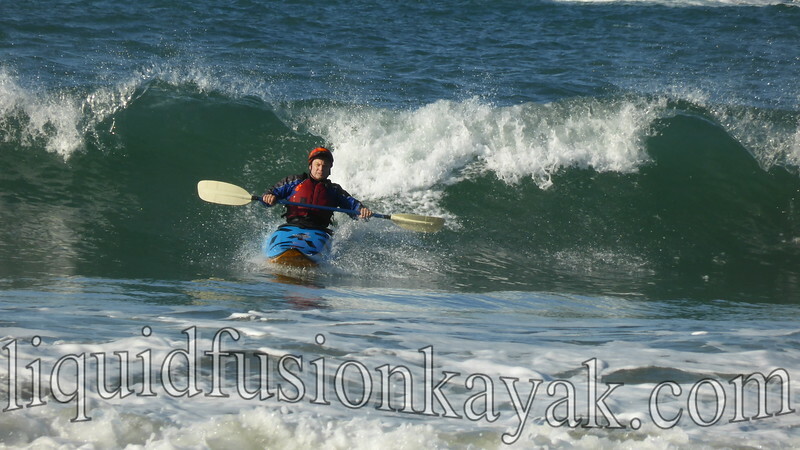 Peter gets his river surf on! With all the play potential of the Eel at this flow, it took us 2 hours to go the first 2 miles. Lunch break at a small surf wave gave the opportunity for even more play. Jennifer finds the sweet spot on the lunchtime wave. After lunch, we continued eddy hopping and playing but got down to business of running the river. 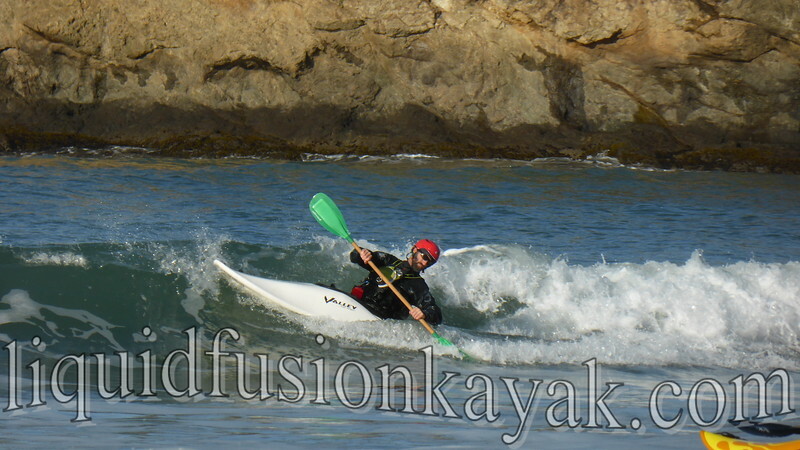 Jeff and I shared fun lines and challenged our students to boof into eddies and catch waves on the fly. 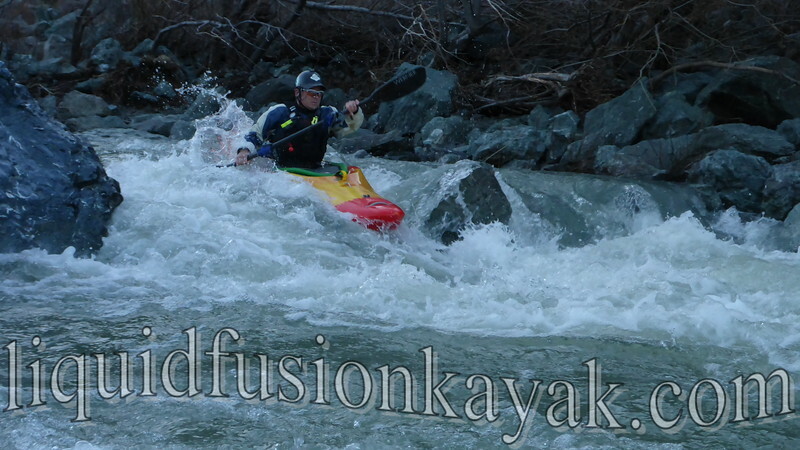 Greg working his way down The Wall on the Eel River. Our cheeks were sore as we finished the run from smiles. Willy making the take out drop. Day Two was Surf Day and the search began. We scouted a couple of breaks looking for that beautiful peeling wave. 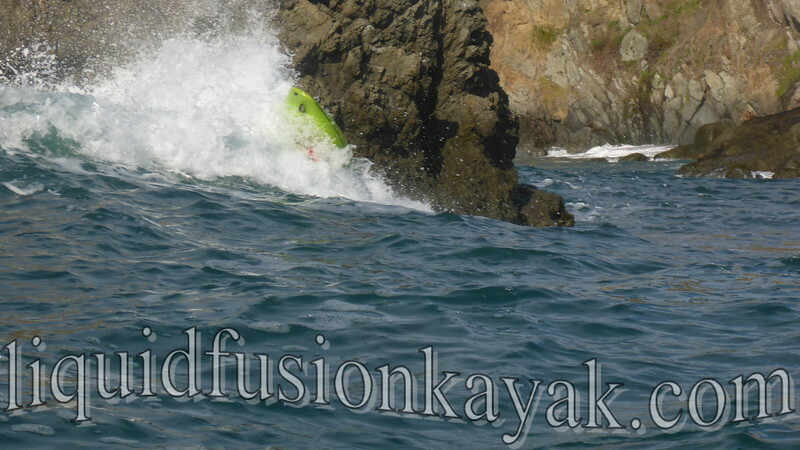 With the tide and swell it wasn't happening, but we saw lots of potential for fun at Chase-a-peak Bay. On a high tide, Chase-a-peak often has lots of fun reflective and zipper waves. It is a good way to challenge your water reading skills and ability to improvise. The waves we were surfing were not big but often offered long rides if one could link them up. We moved to a different break for the afternoon session. This session offered fun steep drops and a few down the line runs. Greg finds a shoulder to surf. 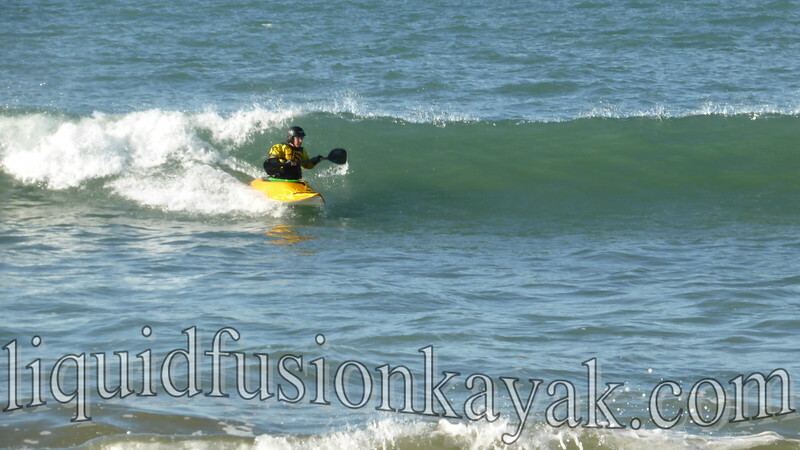 The glassy waves enticed several to surf their high performance surf kayaks. Jennifer surfing down the line. Willy gets a nice drop. 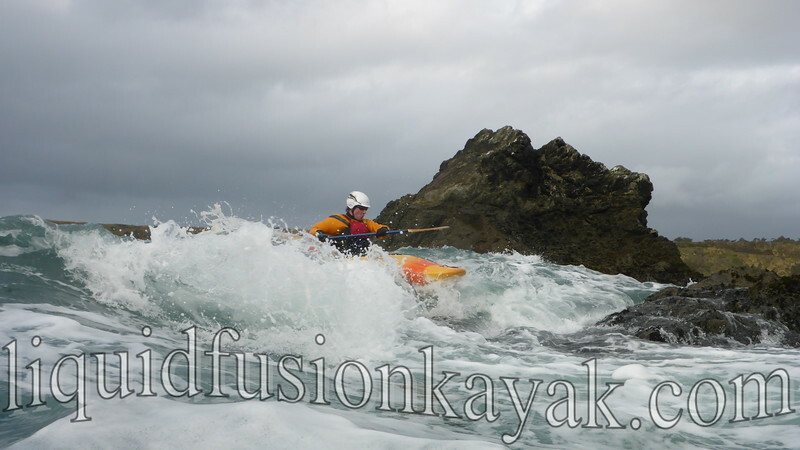 Day Three was Whitewater of the Sea aka rock gardening. 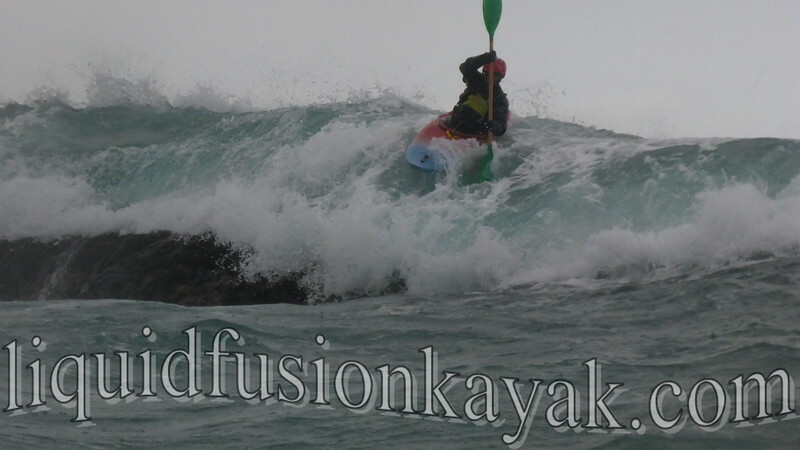 Confused seas, high tide, and winds from an approaching weather front made for challenging conditions. We dug into our bag of tricks and found some rock garden play to complete our trifecta. Our rock garden play started with warming up on a small pour-over that we call Dog Rock. It was a good warm up for the bodies as well as for timing. Jennifer styling the warm up at dog rock. 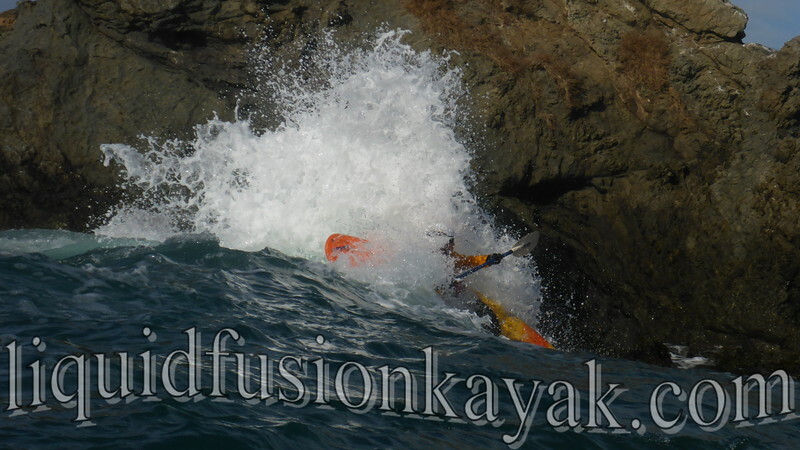 We moved onto a couple of other spots that were more challenging and involved surfing off the rocks. Willy speeds along past first rock. Greg drops in on 8. A final pour-over of the morning session involved a left to right move. A couple of our students tried the left to left move and discovered that it wasn't the cleanest line. They survived and everyone else enjoyed the entertainment. Many of our students were anxious to get going home and departed at lunch time. With one remaining student, Jeff and I ventured back out in search of more rock garden play. We found it. Peter gets a nice pour-over ride! The afternoon session offered us a bit of everything - in terms of weather, waves, and rock garden play. Squalls from a weather front swirled all around us. One minute it was sunny and calm, and the next we were pelted with hail. Despite the weather, a couple of our favorite pour-over spots were working. Jeff Laxier prepares to boof the hole. We are stoked to have ended 2016 and rocked in 2017 with our Whitewater Surfari. Join us next year - December 30, 2017 through January 1, 2018! May your 2017 be full of sunshine, smiles, surf, and rainbows. PS You might ask - did I do more than smile and take photos? Yep. 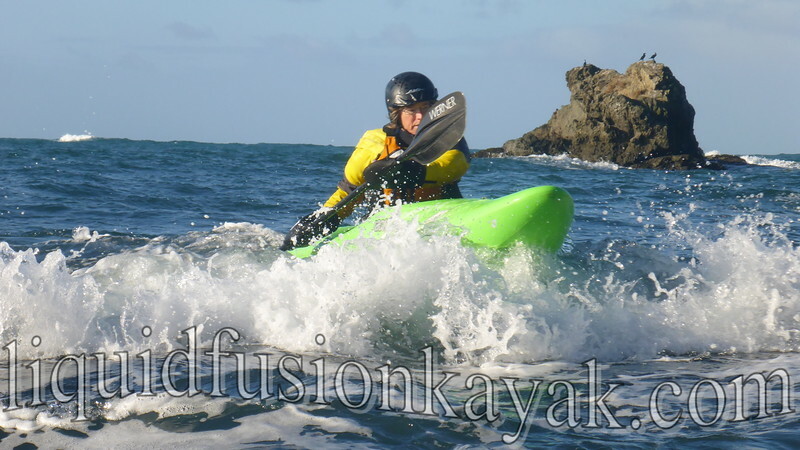 Check out my next Woman on Water blog post.